Mega Sale! Save 22% on the Genuine Joe GJO11961CT Carafes, Pitchers, High Capacity Vacuum with Air Pot, Stainless Steel (Pack of 6) by Genuine Joe at Hosted Payload. MPN: GJO11961CT. Hurry! Limited time offer. Offer valid only while supplies last. 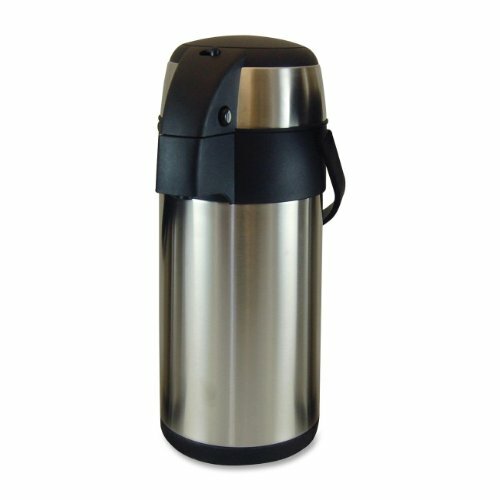 High capacity Vacuum Airpot keeps beverages hot or cold for up to 12 hours. Features all stainless steel construction with no glass liner to break. View More In Commercial Espresso Machines & Coffee Makers.